Kate Shillo is used to holding her own in a man's world. In 2009, she was an assistant to Huffington Post founder Ken Lerer. She helped him launch VC firm Lerer Ventures in 2010 and led investments in startups like Venmo and Paperless Post. In 2014, Shillo, 33, was tapped to co-lead Galvanize Ventures, the investment arm of Galvanize -- a collection of "tech campuses" in Boulder, Denver, San Francisco and Seattle that offer coworking space and educational programs. Galvanize, which launched in Denver in 2012, has a very regionally-diverse portfolio -- a rarity for most VC firms. 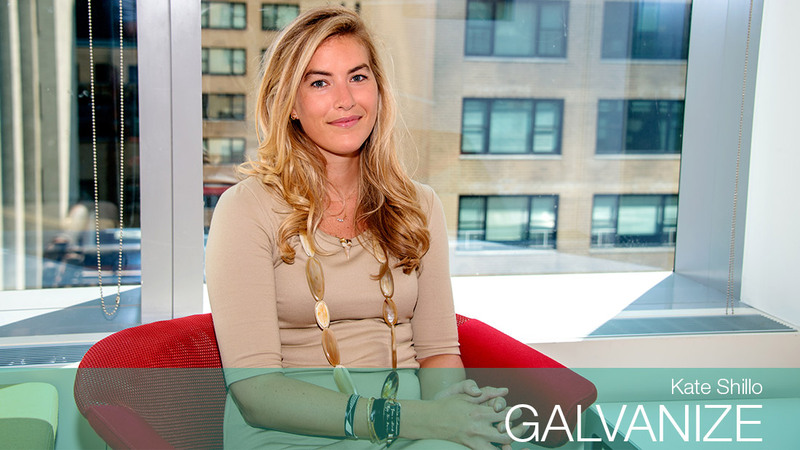 In 2014, Galvanize's investments were 25% in Colorado, 27.5% in San Francisco, 25% in NYC and then split between Boston, Seattle, Austin and Los Angeles. "There's going to be individuals in every major area across the country to support technology's growth. We're aiming to provide [them] resources," she said.